White: I’m Overjoyed at Winning my First Title,Now I Want More, Many More! 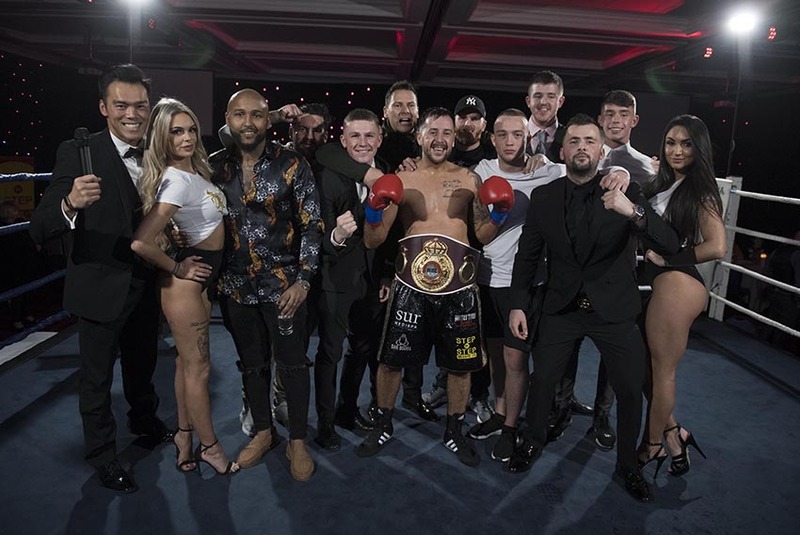 On Saturday evening,Glasgow’s Alexander White achieved his dream of winning a Championship, the World Boxing League (WBL) International Super Middleweight, with a sensational first round stoppage win over Latvian Dmitrijis Ovsjannikovs. The fight may have been over in just under two minutes, but what an action packed couple of minutes it was. Right from the opening bell White went on the attack, letting rip with big shots to the Latvian’s body and head, Ovsjannikovs is as savvy as they come, initially covering up before countering with equally big shots of his own. Ovsjannikovs appeared calm and to a degree confident he could ride out the onslaught and turn the tables on his opponent, as he did back in March, against Mitchell Walsh in Liverpool, to secure a KO victory. However on Saturday evening White was not going to give the Latvian any openings, instead the Scot just stepped up the pace to send Ovsjannikovs to the canvas in under a minute. As soon as the fight was restarted White went in for the kill, peppering the Latvian’s body with big lefts and rights. The tough Latvian managed to thwart the Glaswegian’s efforts well for about twenty seconds or so, but then White landed a peach of a shot to send Ovsjannikovs to the canvas for a second time. Once again White went straight back on the attack on the restart, this time though the onslaught proved too much for Ovsjannikovs, who crashed to the canvas for the third and final time, as referee Lee Murtagh had seen enough and waved the fight off on the one minute and fifty-two second mark of the first round. Speaking earlier from his home, White spoke briefly about the fight as well as his desire for more Championship accolades. “It was great to be back in the ring, even if it was just for a minute or so. “In a way I’m disappointed it was such a short fight, especially after a full eight week camp, but let’s face it you don’t get paid extra if it goes the distance. White then went on to say. “Right now I’m just looking forward to Christmas and then in the New Year will sit down with my manager (Thomas Melville) and team to discuss future plans. 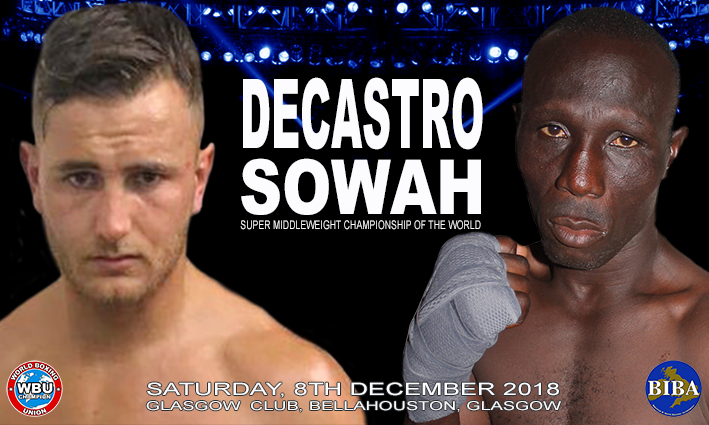 Posted in Championship News Tagged Alexander White, Dmitrijis Ovsjannikovs, Glasgow, Thomas Melville, World Boxing League (WBL) Leave a Comment on White: I’m Overjoyed at Winning my First Title,Now I Want More, Many More! 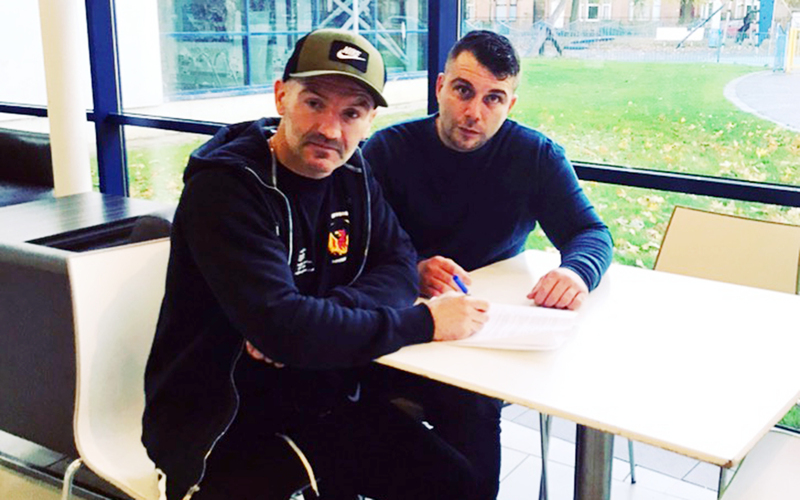 Scottish Promoter and current WBU/WBF World Champion Lee McAllister today announced that former two-time WBO World Champion Scott Harrison has signed to his rapidly growing Assassin Boxing Promotions & Management stable. 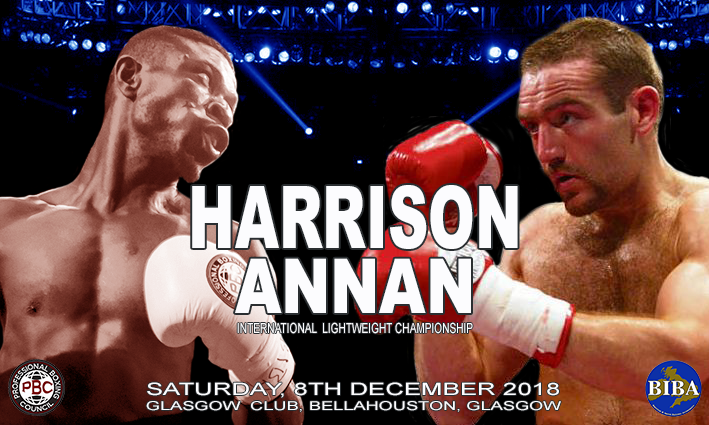 McAllister also announced that Harrison is set to have his first fight under the Assassin Boxing Promotions & Management banner on December 8th, at the Glasgow Club Bellahouston in Glasgow, which he believes will be the first step on a journey that will end with another World Championship belt around the former WBO Champion’s waist. “I can’t thank Lee (McAllister) enough for the opportunity. I’m glad to be back and I’ve got to seize this opportunity with both hands. “I am in the gym five days a week and train three times per day. I feel good in sparring, doing my roadwork and shadow boxing. I feel very capable of winning the title again. “I am very focused on being World Champion again and I wouldn’t bet against me. I think it is my time again, I believe that. I am very motivated, focused and determined to win a World title again. Harrison continued, saying: “Everyone knows what happened to my career but you try to look to the future, not the past. This is me back and looking forward to the future and hopefully finish off my career on a high. “I’ve unfinished business, I lost my license in 2007 then got it back in 2012, but with the Spanish cases it set my career back. I’ve no more cases and I’m looking forward to getting on with the final part of my career. “There were a couple of times when I thought I’d never be able to come back or get an opportunity to come back. “The path’s now clear, I can concentrate on boxing 100%.” he added. “It can be done. I don’t see why it can’t. The only reason I wasn’t world champion was because I was sent to Spain. I was undefeated in my second reign, all I needed was the opportunity. “My motivation first and foremost is to provide for my family. And the second is to win the World title again – I believe I’ve got what it takes.